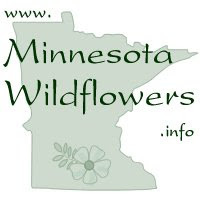 What isn't there to like about Butterfly Milkweed? 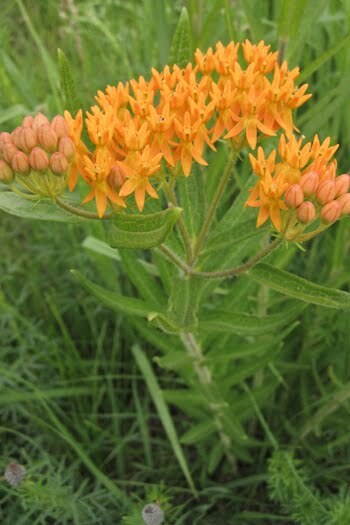 For me, I love to see the bright orange flowers standing out in the middle of a prairie. 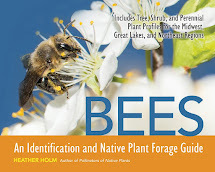 This plant is a major attraction to all types of insects and one of the larval hosts to Monarch Butterflies. 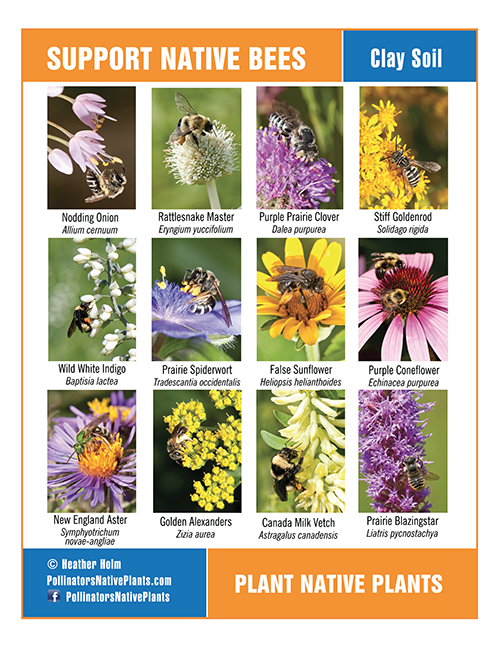 When prairies were first converted to agricultural pastures, this plant was considered undesirable mainly because it was unpalatable and avoided by livestock. Large amounts ingested could be toxic to livestock. Farmers found it tough to eradicate because of its tap root and ability to propagate readily from wind blown seeds. 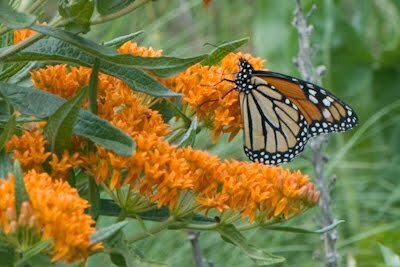 Butterfly milkweed makes a great addition to your garden or landscape. Because of the taproot, it prefers well drained lighter soils with medium to dry moisture. It will thrive in full sun and does okay in part sun but the amount of flowering may be diminished. 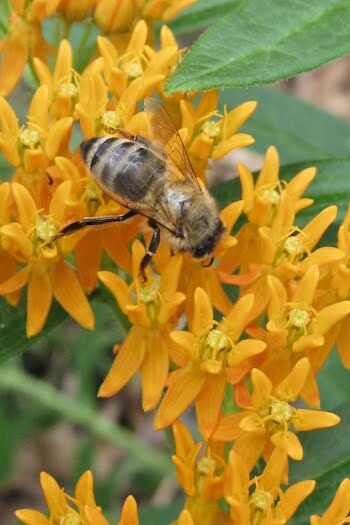 It does not do well in heavy clay although Prairie Nursery in Wisconsin offers a Butterfly Weed for clay that I grew with good success at our previous house. The plant was used by Native Americans as an herbal medicine and is now sold as an herbal remedy to treat bronchial and lung disorders but there is no scientific evidence to support this. 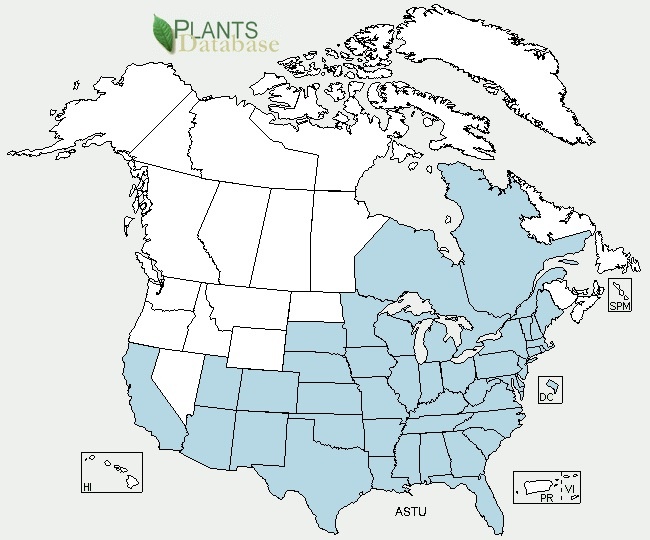 Butterfly milkweed is native to the U.S. and Canada. See map.